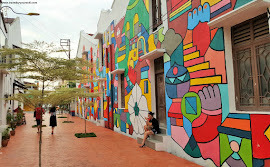 When I read about the MUA Heaven & Earth in other blogs , I had a completely different picture about it. It looked quite big but in person it looks very sleek, small & travel friendly. 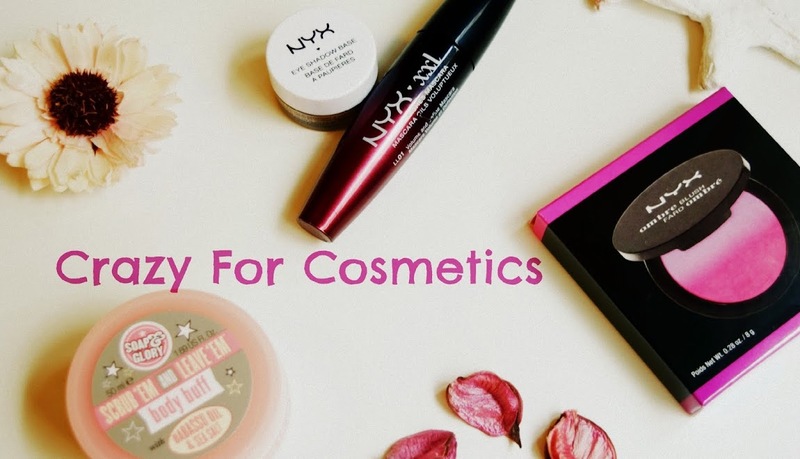 The product comes in a plastic black casing with a transparent lid where the colors are clearly visible and it is extremely light-weight. It contains a two-sided sponge tip applicator which looks very flimsy & will not be of any use to us. 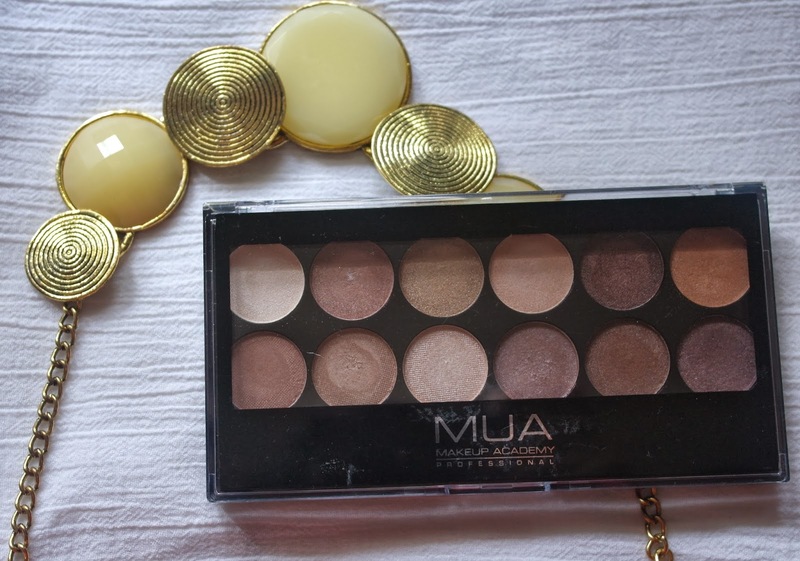 The palette has 12 neutral shades that are buttery smooth in texture and are pearl or shimmery finish. 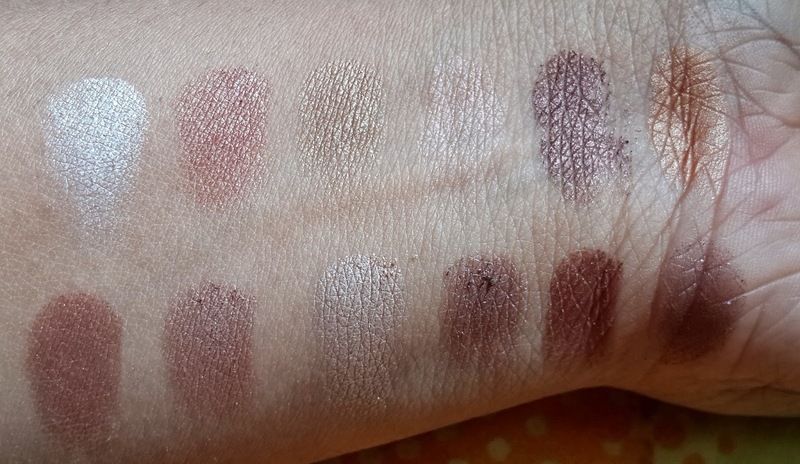 There is not a single matte color in the palette. 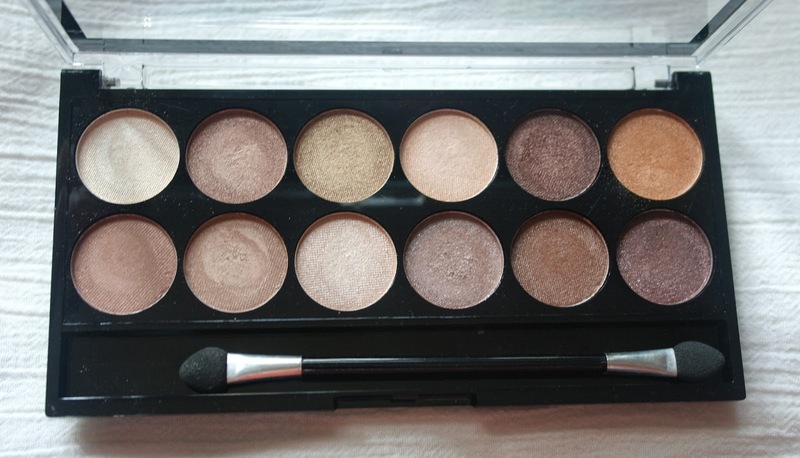 The shades do not have a name , so I am referring to them by numbers from the top left corner of the palette. Color No 1 : A pearl finish cream color which can be used as a highlight color for browbone & tear duct area. Color No 2: A peachy bronze shade which I think would look great on my Indian skintone. It can be worn as a single color for daily office wear or even for a party. Color No 3: A pretty antique gold shade which slightly looks like olive green but is actually an antique gold when applied. Color No 4: A beige shade with peach undertones. The pigmentation of this shade is very poor and can be a good highlight color. Color No 5: A pretty jewel toned dark brown shade and I am in love with this shade. 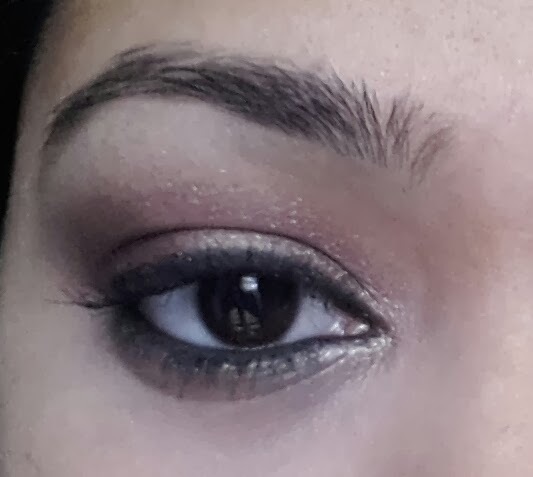 Such a pretty brown that can work as a crease color. Color No 6: A perfect Indian gold shade that can work wonders as a single all over lid shade or in combination with browns. Color No 7: A coppery brown shade but the pigmentation has let down this shade. Color No 8: A taupe shade that can work as a good transition color in the crease and the texture of this shade is very soft. Color No 9: An excellently pigmented beige shade with cool undertones which makes it more or less a silver shade. Color No 10: A cool toned light brown shade which might suit pink undertone skin. Color No 11: A pretty chocolate brown shade that can be used as a single color. Color No 12: A dark brown shade with a lot of glitter particles which can be used for a glamorous eye makeup , but the pigmentation is poor. 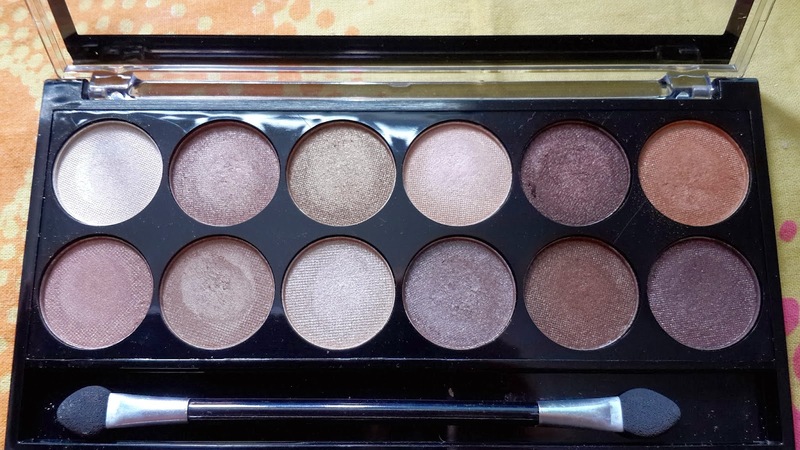 The price of the product is so affordable when compared to other palettes available in India with lesser number of colors. 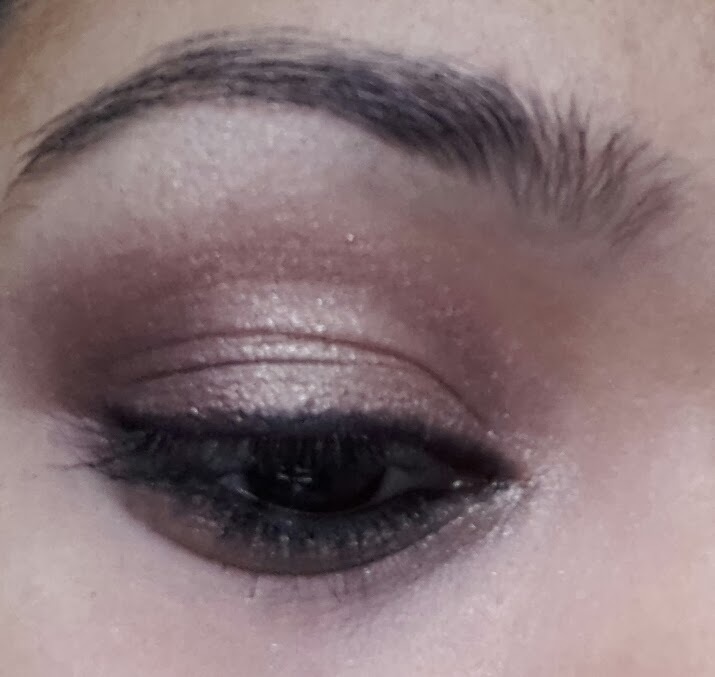 For beginners it is such a good palette with all neutral colors. The staying power of the shadows is quite good even without a primer. It stayed without smudging for about 4 hours for me. With a primer underneath, the colors are more prominent & the staying power increases. The fallout is minimal. Sponge applicator provided is flimsy. Could have had a mirror. Shade names could have been included to make it more interesting. 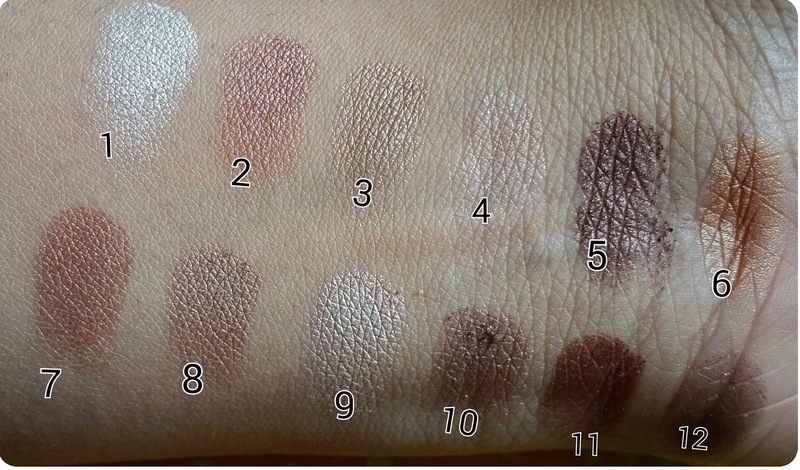 Some shades are less pigmented. Some matte shades could have been included to make it a complete package.